More people moving more is central to a healthier world. Unfortunately, evidence tells us that people everywhere are less active than ever before, and the burden of chronic noncommunicable diseases rises unabated. In response, the WHO has launched their strategy to develop a new Global Action Plan to Promote Physical Activity. Years of advocacy have culminated in this unique opportunity; the development and comprehensive implementation of a global action plan to promote physical activity. This in many ways, will shape the future. Why is WHO suddenly talking about physical activity? WHO has encouraged member state governments to promote physical activity for over a decade. Since the 2004 WHO Global Strategy on Diet, Physical Activity and Health, and inclusion of physical activity as a key risk factor and opportunity in the 2013 Global Action Plan on NCDs, the International Society for Physical Activity and Health (ISPAH) has been a lead advocate to promote physical activity. Its numerous resources, including a policy framework (the Toronto Charter, 2010) and policy investment decision tool (What Works: The Seven Best Investments for Physical Activity, 2011) guide countries with the rationale and operational choices for physical activity promotion. What’s helped get physical activity on the global agenda? Recent progress toward a Global Action Plan to Promote Physical Activity comes thanks to the tireless work of various key individuals and organisations. This includes ThaiHealth. ISPAH, in partnership with the BJSM. These organizations, along with others, are leading the push for greater recognition of physical activity as a key component of health, and social and sustainable development. An inactive world is unhealthier, uneconomic and unsustainable. 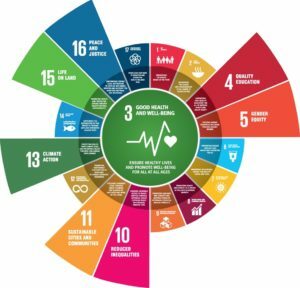 Broader policy priorities have emerged highlighting the pivotal role of physical activity in: (i) achieving the Sustainable Development Goals (SDGs), (ii) making the Global Action Plan to Promote Physical Activity a catalytic opportunity across multiple sectors, and (iii) providing a framework for a truly embedded whole system approach to moving nations. The NCD Alliance, ISPAH and partners will mobilize civil society advocates from across sectors to contribute to the development of a strong Global Action Plan, to call for renewed commitment from governments to boost physical activity, and to enhance the feasibility, sustainability and accountability of its implementation. How will the Bangkok Declaration on Physical Activity and Health help? contributes to mitigating climate change, reducing inequalities and supporting more sustainable cities and communities in a rapidly urbanising world. Use the BKKD in your practice, teachings and advocacy, share it far and wide. Get it at http://www.ispah.org/resources. The more engaged we all are, the better the ultimate health of our planet. Bull F, Gauvin L, Bauman A, Shilton T, Kohl H, Salmon A. The Toronto Charter for Physical Activity: a global call for action. 2010;7(4):421-2.